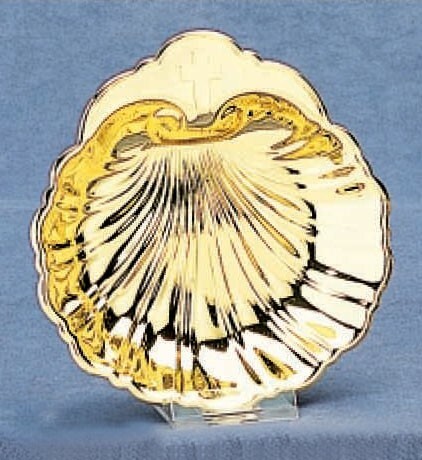 Baptismal Shell, 5" diameter, made of brass, then laquered. Gift Box included. Can be purchased by a church or buy as a baptismal gift and create a family heirloom that can be used by all of the children in the family.